An often-remodeled room, the bathroom is the perfect place to begin when you are giving a home a fresh look. When you are tasked with designing a new bathroom, talk to the experts at ProSource® of Honolulu. Our team can assist you in putting together the right design for the space of the room and the budget of your client. Browse our selection of bathroom supplies at wholesale pricing to find the right materials for your upcoming project. From a simple, white porcelain sink to a stunning, natural stone basin, we can help you choose the right bathroom sink to match the room’s new design. Whether you are looking for something bright and eye-catching or something dark and subtle, we will find the perfect piece. 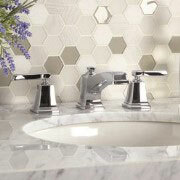 When it comes to choosing a bathroom sink faucet, a few factors come into play. Your client needs something that is functional, something that will last, and something that ties the design of the room together. 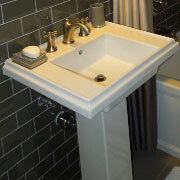 We can help pair you with top-brand faucets at affordable prices. Whether your client wants to upgrade their shower to a luxury model or they need something simple to fit a small space, we can walk you through the array of shower options at ProSource of Honolulu. 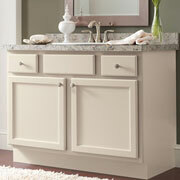 Take a small space and make it larger with the right vanity. Offering extensive storage space, which can help to declutter the room, and providing an extra design flair with beautiful mirrors and lights, let us help you choose the perfect vanity for your client’s style. The perfect place to relax after a long day, the right bathtub can help create an oasis. 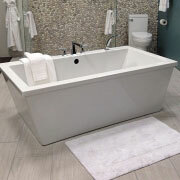 Shop stand-alone deep tubs, jacuzzi tubs with massage jets, and more at ProSource of Honolulu. 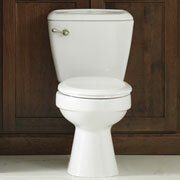 When it comes to choosing the right toilet for your bathroom remodel, we can help. From new, modern designs that are sleek and space-saving to classic styles, we have beautiful toilets for any preference.